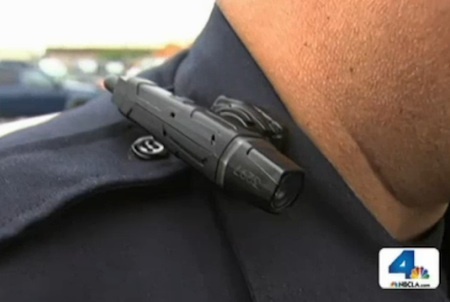 At least 600 Los Angeles police officers will be wearing lapel cameras by this summer. The American Civil Liberties Union will be among the stakeholders as the LAPD launches the lapel cameras. "On-body cameras and the continued addition of in-car cameras are going to be an absolute transformative thing for both sides of the camera from a law enforcement perspective," Soboroff said. "And I just can't wait. Because when you get a real record of what's happening it makes investigating a lot simpler. More importantly, I believe it's going to change behavior. I think when people know they're being recorded, their actions may be different. and the 'he said-she said, let me lawyer up and let me do this and do that' — I hope that those days get over quickly." Via SCPR; hat tip to David Brin (I think from his twitter feed).